Will My Auto Case Likely Settle? One of the most common questions asked by clients is how long will the process take and whether a settlement is likely. 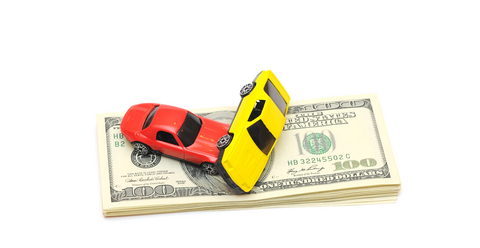 For automobile accident cases the answer is that most settle without the need for a trial. However, there are many factors which influence whether the case will settle. The best approach your lawyer can take is to assume that the case will have to be tried and prepare the case for trial. If the opposing lawyer knows you can prove your case at trial, he is more likely to recommend a settlement to his client. This can be a challenge when the case is small and the potential recovery is low. Obviously, if the lawyer spends all of the potential recovery working up the case for trial, a settlement or judgment does not provide a sufficient recovery for the client. Thus, it is critical that you hire an experienced attorney who can walk the fine line of preparing the case without costing you a fortune in the end. An experienced automobile accident lawyer knows what tasks he can perform in the case which will bring the other side to the negotiating table. Simply working on the case without specific direction and knowledge as to what drives the parties to settlement is of no value to the case. Knowing what functions to perform in the case comes from experience in handling complex automobile accident cases as well as understanding how insurance adjusters and lawyers evaluate cases. Even in litigation, the opposing lawyer must report to an adjuster for the insurance company. That adjuster generally makes the final call or approval of the settlement. Thus, understanding how that adjuster evaluates cases is critical in getting the most money in settlement. Another important factor is to appreciate and accept a good settlement offer when it is made. Many clients do not have an understanding or appreciation of the top value of their case until it is too late. Television and media reports of runaway verdicts all too often shape our value system of what a case is worth. The truth of the matter is that the value of a person’s losses is generally measured by prior legal precedent in similar cases involving similar injuries. If a judge or jury gives an award that is out of the range of acceptability for those types of damages, the court of appeal can reduce or raise the award. Most verdicts that have been sensationalized by the media have a component of punitive damages (damages designed to punish a party in extreme circumstances), and should not be used as a measure of the worth of your case. All of these factors must be considered in evaluating the likelihood of settlement as well as the amount of settlement in your automobile accident case.